I personally have seen a difference between the temperatures of the older and new iPad models although it certainly doesn’t get “hot”… it just warms up a little and seems to happen after using it for a couple of hours. 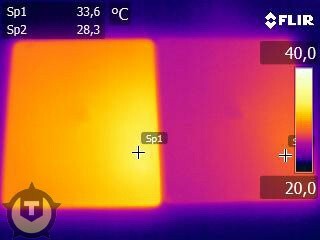 Tweakers.net has used a thermal camera to see exactly what the temperature difference was on their test unit. Under average use it runs 4.3 degrees C warmer.